Last post Sun, Feb 24 2019 by Paul, 38 replies. For starters, many of the FX presets in the Smart Orchestra, I am unable to use, it seems to be any that have any sort of heavy delay. I will play a note, and it will start a feedback loop, playing whatever the delay is as static, in the rhythm of whatever the delay is. Shimmering is one such sample I am unable to use. Rebooting all of my hardware does not fix the issue. Then we move on to presets not being saved. For example, I have a Snare drum that I used from the Punchy percussion preset, but I cranked the reverb to a very high setting, saved it as a user preset, then export the audio from cubase 10.10 and none of the reverb is there. Finally, we have the issue of Ensemble Pro and its stability. I never had any issues with the free version of Ensemble, I bought the pro version and it consistently hangs, by the way, Im not even hosting any third party programs in it like Kontakt. This is a link to a zip file, this contains the Cubase project files and a flac export of the audio track from Cubase 10.10. The project makes use of Ensemble Pro, Instruments Pro, Synchron Player, Epic Orchestra, Smart Orchestra, and Smart Spheres, so you will need to have all these installed to open this. Listen to the flac recording, which is a raw export of the track from Cubase, and youll notice the snare drum that comes in has no reverb. Youll also notice that the Shimmering track at the beginning, has no delay. Since I cant even edit this anymore, because as I play the track, it starts to spit out static, this I have no way of recording to get the audio to you, except maybe I can do a rough recording with my smart phone. In point of fact, the entire track sounds completely different than what you hear played back directly in Cubase. The entire beginning is empty, sounding, the snare is missing reverb, the cannon bass used in the second track is shallolw, almost like there are no effects on it. I dont get it. Thanks for your input, we will take a look. What are the specs of your hardware again? Which OS? I have tried rebooting the keyboard and the PC. I have checked for driver and bios updates on both the keyboard and the PC, and where necessary, updated them (I am a security conscious guy so this is part of my regular weekly PC maintainence anyway). All pertinent software is up to date, including all Vienna software and windows itself. I do not run a virus scanner, I only use whats built into Windows (again, being security conscious, if you put the right protections in place, there is no reason to run a virus scanner, provided you are careful). Hopefully this helps, Ill have to see if I can somehow get an audio capture of the noise it puts out. I can mute the channel of the problematic track (shimmering is one of the FX tracks that I cannot use, Ill have to see what the others are, almost all of the "plucks" in FX 1 are unusable for me) and continue working with other channel in the same audio file, but the channel, once it starts creating static, continues to do so, getting louder and louder until the audio line is saturated. Im thinking maybe its one of the effect types that you are using (I was thinking maybe its the delay effect). cpu-z_1.png (44kb) downloaded 2 time(s). cpu-z_2.png (26kb) downloaded 2 time(s). cpu-z_3.png (25kb) downloaded 1 time(s). We could find a potential bug with the feedback loop your described, but we couldn't reproduce the reverb troubles. Just to be sure: You are referring to the Reverb in the SEND channel of the preset, correct? We're also not sure how this would be connected to having the preset saved as a custom preset... can you post that preset or send it to us: ? Thanks for your input, always good to be on the big bug-hunt! If you open the project file I sent and play it back, then open the flac file I sent and compare them, you'll hear the difference between the two. Some very specific issues with Ensemble Pro that I can add to this list, if I close a project in Cubase (File menu -> Close) that is currently connected to Ensemble Pro, Ensemble Pro will hang. Also, removing a channel in Ensemble Pro will also cause it to hang (on the left hand side, right click on a channel and select delete channel, all the other various methods of deleting a channel will also cause it to hang). Thanks, I could reproduce the impulse reverb proble. Loading the impulse again will repair this bug, for now. Ill create a dump file later today for VEP, thankfully, at least two ways it hangs are easily replicable. I am curious, the FX issues including the reverb and the feedback issue, are these an issue with Synchron player or the library and what will / do I need to do on my end to fix this? Thanks, I could reproduce the impulse reverb proble. BTW: Loading the impulse once again will fix this bug, for now. This occurs when I close a project in Cubase while connected to Ensemble Pro (in Cubase, File-> Close). And I finally was able to track down the other replicable time Ensemble hangs, its specific to having a Synchron Player channel loaded WITH an instrument (Smart orchestra or even an FX preset) and then removing the channel from Ensemble Pro. In this case, I have a demo of MIR Pro running with the Smart Orchestra loaded, but it will hang if the channel is removed, as long as I have ANY instrument loaded in Synchron player, including an FX preset (in other words, an empty instance of Synchron player with no instrument loaded will not cause it to hang). The last Version of VE PRo, + any combination with Sphere, VSO or Synchron player, hangs and not closing properly In Cubase 10 10 ( last update). Just cheked also without VE Pro, and Synchron player ( both vst2 or vst3 ) doe snot let me close Cubase. Specs: Win 10, 10 core I9 9900x, 64 GB, SSDs, Nvme's for samples. ScreenshotU0020(28).png (996kb) downloaded 5 time(s). ScreenshotU0020(29).png (2,274kb) downloaded 4 time(s). Thanks for reporting, we will look into it next week! Do you get any kind of error report? Can you please send a hang report to , and maybe also a small Cubase file for us to double-check? There are dumps above from me, links are from my Googld Drive, but to reiterate, here are two ways to make VEPro hang and after extensive research, I have narrowed down the specific actions that will cause it to hang (see my thoughts at the bottom, below the 2 methods). 2. In the newly created Synchron channel, load an instrument. Makes no difference what it is, could be smart orchestra, could be an FX preset. 3. After the instrument is loaded, right click on the channel in the list of channels on the left side and remove the channel. Note that this method works whether you are using the standalone version of Vienna Ensemble Pro (not connected to your DAW) or using Vienna Ensemble Pro Server (which would naturally be connected to your DAW). 6. In Cubase, go to File -> Close and select no to the prompt about saving your project. If using another DAW, close the project from the DAW, using whatever method you would normally use to close a project. Have any project open in Ensemble Pro and your DAW that contains a Syncron channel with a loaded instrument. In Cubase, start a new project or load another project. When prompted whether you want to activate the new project, select yes. Note, this method may be unrelated to the cause for the first two methods. In both of these methods, Ensemble Pro is unloading Synchron player that has an instrument loaded. This means, it has something to do with how Ensemble Pro is closing Synchron player, or possibly how Synchron player closes when it has an instrument loaded. Im betting it has nothing to do with Cubase because in both methods, we are closing a channel with Synchron player that has a loaded instrument (while Ensemble Pro remains running), the only difference between these two methods is how we are initiating the removal of the channel. 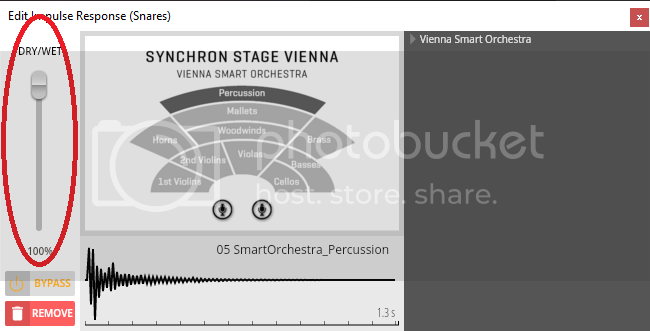 I tried starting a standalone instance of Vienna Ensemble Pro, loading a channel with Synchron player and finally loading an instrument inside Synchron player, then immediately closing Synchron player and that worked just fine. The bonus method may be unrelated to the first two methods, since Ensemble isnt unloading Synchron player in this case, so the cause of this may need to be researched further, but this method is also recreatable, if you need a dump of this, you should be able to manage making one yourself for that. I can confirm what littleweirdo observed. I’ve Tried myself and it’s exactly how he described. Curious though about Macs or Cubase 9.5 how it behaves ! 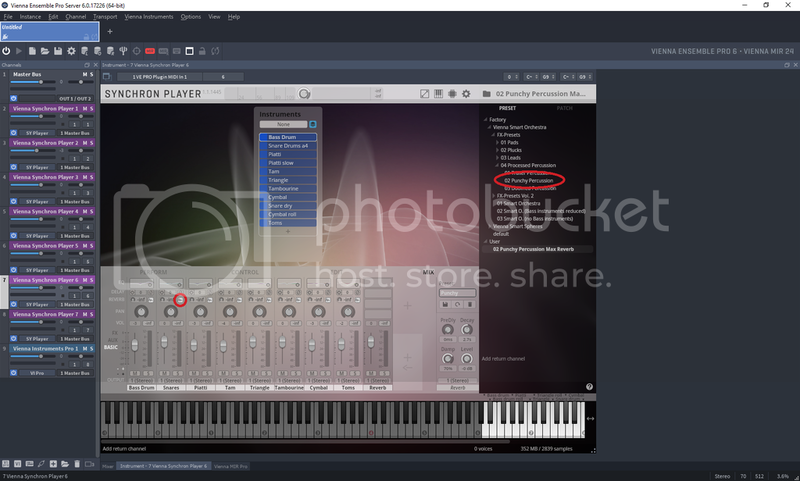 Its going to be the same for Cubase 9.5, because it isnt Cubase that is the issue, its either Vienna Ensemble Pro, Synchron Player, or how the instruments for Synchron player are formatted. Any DAW will have the same issue (hanging and when closing a project). Now whether Macs have this issue, that I cant answer to since the code base for VEPro, Synchron, and the instruments is likely different than it is for PC. The bonus method I just added to the above directions for recreating this bug is peculiar because Synchron isnt being unloaded in this case. I'm also wondering if it's only us, that have experienced these issues ! That would be strange - or maybe we are early adopters for Spheres and VSO ! I have found a couple more interesting...umm...oddities? 1. On the left side of Ensemble Pro is a list of channels, the top most one is Master Bus. Clicking on this channel, specifically the words "Master Bus" (just to be clear where exactly Im clicking, Im not clicking on any controls in the box) will generally open the mixer console. However, with MIR Pro loaded, it does not exhibit this behavior, it in fact does nothing. In order to bring up the mixer, you have to find the little Mixer tab at the bottom of Ensemble Pro. As soon as you unload MIR Pro, Ensemble will allow clicking on the Master Bus words in the channel list on the left side once more. 2. Any track that has any of the orchestral strings (there may be other instruments, but I noticed it specifically with the special edition orchestral strings violin+ and viola+ instruments from the special edition complete) that play at the beginning first 3 measure of a track and are routed through MIR Pro will not be exported when doing a File -> Export -> Audio mixdown in Cubase 10.10, UNLESS you do a real time audio export. I have created several new projects trying to track down exactly what is causing this, might have more info later this week, but this should be easily replicable. 3. Ensemble Pro does not seem to export 5.1 audio when using the File -> Export -> audio mixdown function in Cubase. I end up with a stereo file. It actually recognizes both Viena Suite and Pro. What you need, probably, is to add the folder with both fx to VE Pro Preferences / Plugins / Vst settings ( usually, you will find both plugins in Program Files/ Common files / Steinberg/ VST2). Any news in regards with WIN machines that are using Synchron Player w/ VE pro ? I am asking because I was looking to your Spheres walkthrough and is really impressive, but is unusable for me if I want to start a project exclusively , or use it in combination.